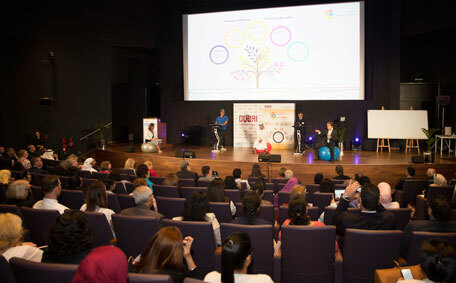 More than 600 teachers, school leaders and educators from private schools in Dubai partnered with a line-up of well-being experts to share their insights for creating happier educational communities at the first ‘What Works’ event of the academic year on Monday. It also provided a significant platform for teachers to collaborate with global researchers and share best practices employed in their schools. Sir Anthony Seldon, Vice-Chancellor of the University of Buckingham, revealed how he broke new ground by introducing happiness and well-being classes into the school curriculum after founding the International Positive Education Network (IPEN) and co-founding Action for Happiness, a movement of people committed to building a happier and more caring society. Dr Kaiping Peng from the University of California, Berkeley shared his firm beliefs in positive education and how positive psychology has informed changes across Chinese schools. His current work includes the use of mobile technology for schools to track happiness levels of students and, more significantly it enables students to know their own levels of happiness. During the panel discussion, the audience also heard from Tay Lai Hock, founder of Singapore’s Ground-Up Initiative (GUI). His alternative approach to student learning takes place at the large Kampung Kampus in Singapore, where students of all ages are given the opportunity to help nurture nature and experience learning in what is best described as a ‘living classroom’. This innovative approach means that children are helping to build the community through sustainable development, while following GUI’s five pillars of teaching and learning- Gracious, Green, Giving, Grounded and Grateful. Mouza Al Suwaidi, Chief of Engagement at the Knowledge and Human Development Authority (KHDA), explained why the topic of well-being held such prominence in today’s learning community. “The well-being theme is of particular significance for the first What Works of the academic year. It makes sense that if students are healthy and happy in their school and home, then they are likely to achieve better academically. Along with its world-renowned international guests, ‘What Works Wellbeing’ also welcomed the Dubai team from Expo 2020. The team connected with visitors to What Works through a fun and interactive Vox Pop booth, allowing teachers to show their support for Expo 2020 and also hear how the successful win is engaging with students in Dubai. More exciting new features added to the What Works programme included a dedicated stream for school counsellors. 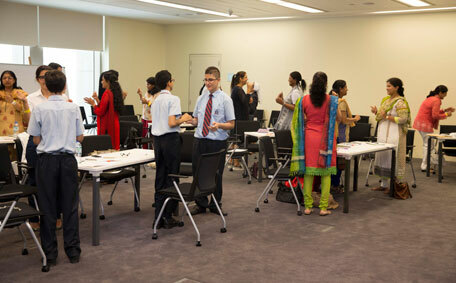 The bespoke Counsellors Connect sessions, which was hosted by the online magazine Happy Junction, offered school counsellors the opportunity to hear and discuss topics that directly relate to the work they do in Dubai schools and to meet fellow professionals who shared innovative insights into how to make our students happier. Organisers went on to reveal that for this academic year, some significant changes have been made to the event. Each of the six events during the 2015/16 school year are now based on themes rather than subjects, making each What Works relevant to all teachers and students of all ages. A dedicated Arabic language event has also been added to the academic calendar. Fatma Al Marri, CEO of Dubai School Agency at KHDA explained the importance of adding an Arabic language event to the school calendar. “Students who came to our previous What Works series told us of the need for this type of event. What Works movement of sharing positive practice in Dubai schools continues this year. The next event, ‘What Works Makers’ takes place November 9, 2015. 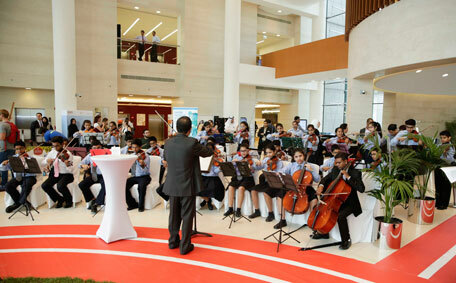 The event is for all teachers curious about the learning possibilities that technology offers them and their students.